So WHY do we need to help our students become fluent in basic math facts? Math facts fluency leads to higher order mathematics. Through automaticity students free up their working memory and can devoted it to problem solving and learning new concepts and skills. For these, and probably a zillion more, the Common Core Standards require us to insure that our students are fluent in their math facts. Math fact automaticity affect performance in later elementary grades as students have longer and more complicated computations to complete. At this stage, if a student does not have his/her math facts committed to memory, he/she will spend a lot of time and energy figuring out smaller calculations and risk not having time (or energy) to complete the assignment. Their performance in math class is not the only academic area that may be negatively affected. Other subjects such as science and geography may be hindered. 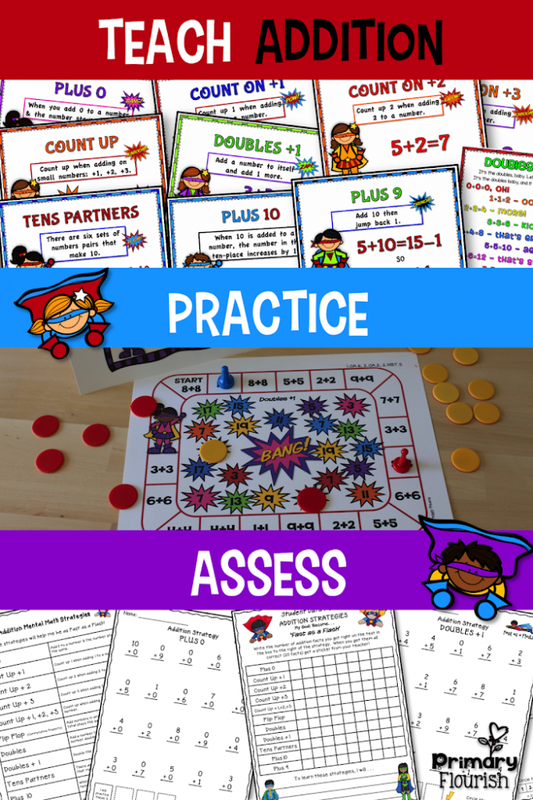 Math fact fluency is developed through lots of practice with effective tools and strategies. 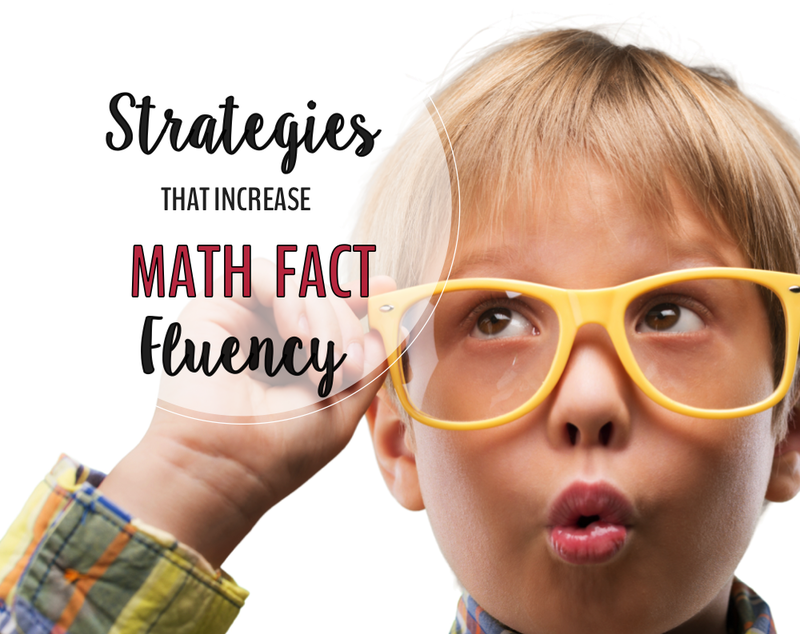 I have found, and research confirms that Derived Fact Strategies (DFS) are highly effective in increasing math fact fluency. What are Derived Fact Strategies? Derived facts are math facts that are derived from known facts. For example, if we know the doubles fact, 3+3=6, then we can derive the answer to 3+4 by using the 3+3 fact and adding 1 to it. So a derived fact strategy is the mental process of deriving a new fact from a known fact. 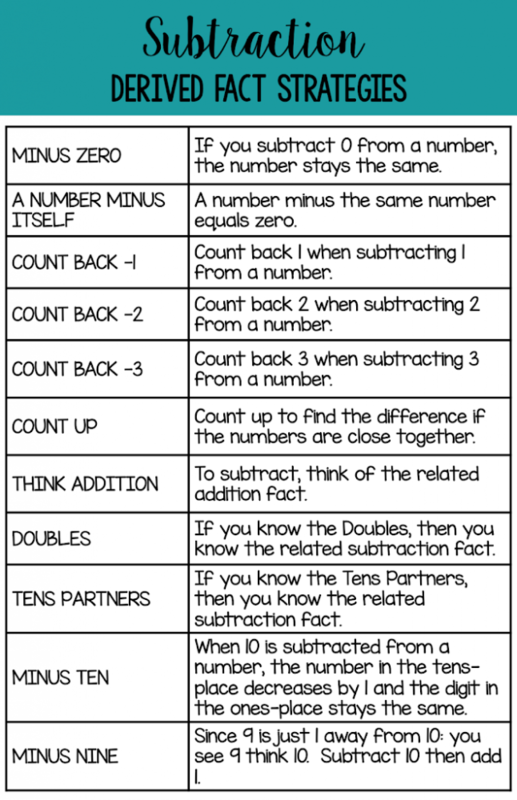 These strategies are also called ‘mental math strategies’ and ‘thinking strategies’. They all refer to the cognitive process of deriving new understanding by using known information – higher level thinking! I have seen seen students transform from discouraged learners to confident learners as they master these strategies! Enjoying math! I have also seen the flip side. 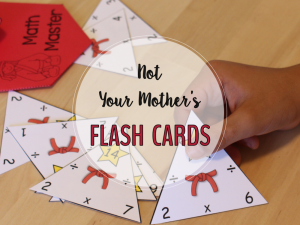 Teachers clinging to the use of timed tests, traditional flash cards, and pushing the responsibility of math fact fluency onto the parents (much to their frustration) – resulting in frustrated students – even tears – and negative experiences in math for years. 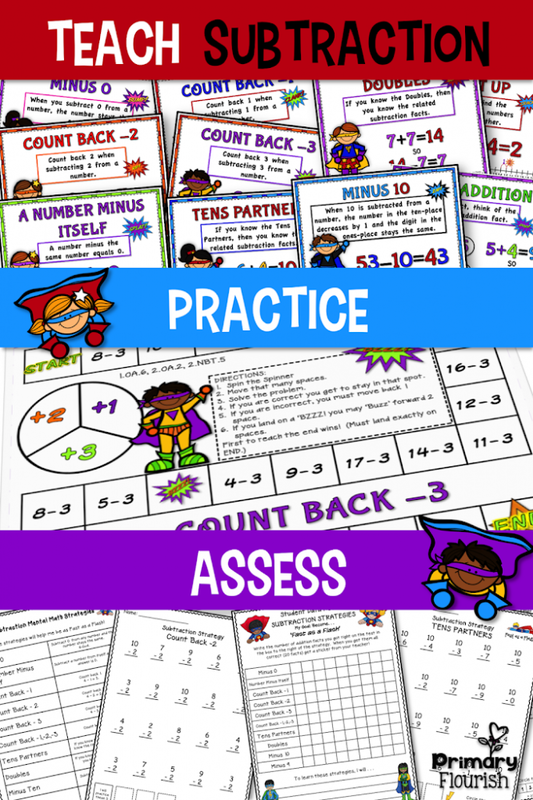 Knowing that lots of practice is crucial for students to become ‘automatic’ in their recall of basic facts, I have invested hundreds of hours creating engaging resources to provide students (and teachers) with effective activities that make practice fun! DFS (derived fact strategy): “Plus 2”. It is free in my TpT store. in their math fact fluency. If you do – keep on, keeping on! What an amazing list of strategies and ideas! Thanks so much for sharing this with us! Thanks for these strategies! I'm going to use some of them myself as I'm getting older and more forgetful! 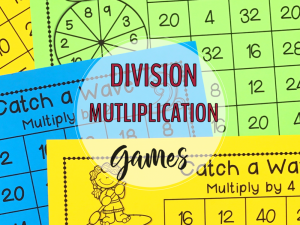 I remember when I was little, the stress of sitting home in the evenings with my parents practicing those math facts, getting ready for the skill drills. Great ideas to make it easier! LOL! You are so cute! You are not! What a great run-down on DFS, Peggy! I especially like the two charts – what a great way to organize for planning! Such great information and so important. Thank you for the strategy game. It's perfect for my first graders. 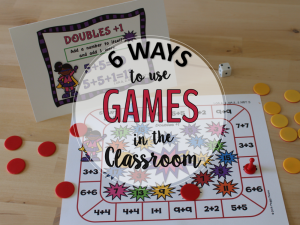 Games like these are so effective and my students love playing them. 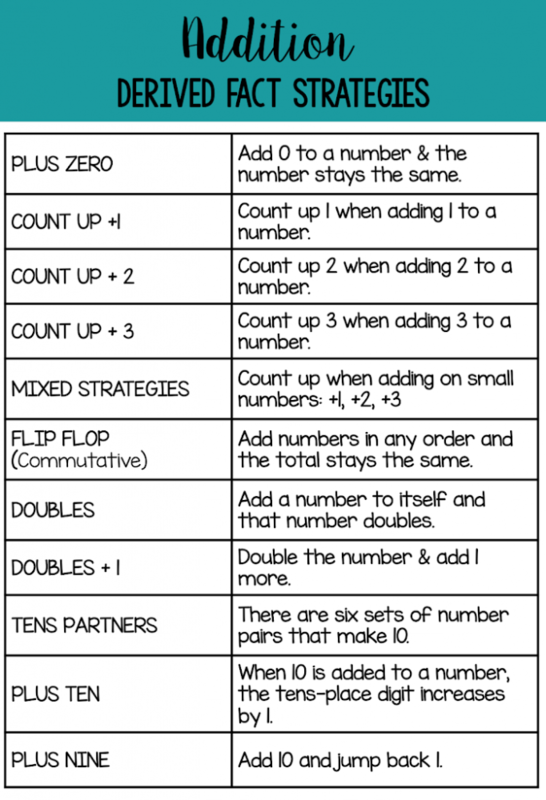 Peggy these are great ideas and tips for practicing math fluency. I love the game. It will be a great review for my littles! Thanks so much for sharing! Awesome info! 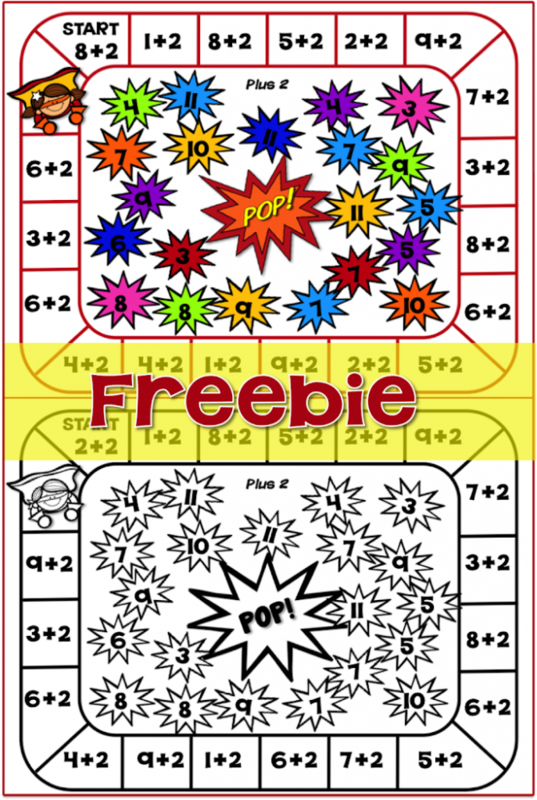 Next week is my last week of school for the year and I think my Kindergarteners would LOVE to play a fun math game like this one– so thank you for sharing! We'll try it out! Also- my 5 year old was sitting by me as I was going through all these awesome blog links and when she say your picture of the cute little guy with glasses, she said "I want to look at that one!!!" Great job making cute, appealing graphics to go along with your wonderful ideas! You rock, Peggy!